Making Larb Pa Tong in Vientiane, Laos. 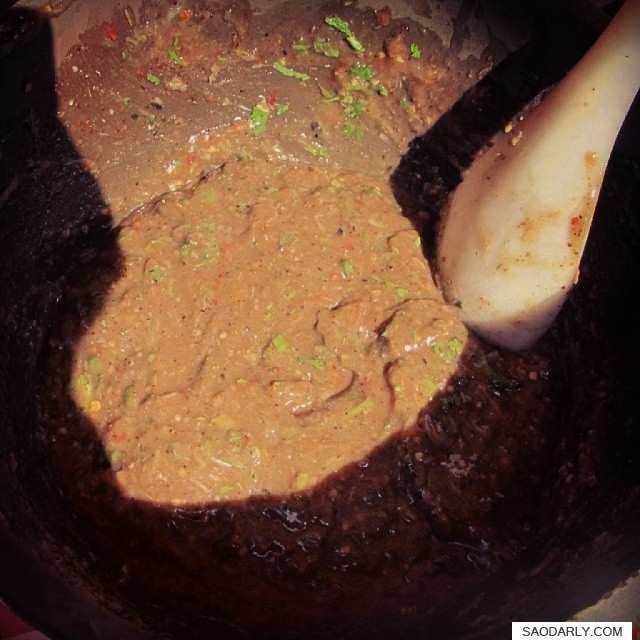 The dish is at the final stage of the mixing and blending the ingredients, using pestle and mortar. The fish used for the Larb is Spotted Featherback fish, the most favorite for making Larb Fish in Laos. Larb Pa Tong is usually served soup made from the head, bone, and tail of the fish, plenty of fresh herbs and vegetables, and fresh steamed sticky rice.